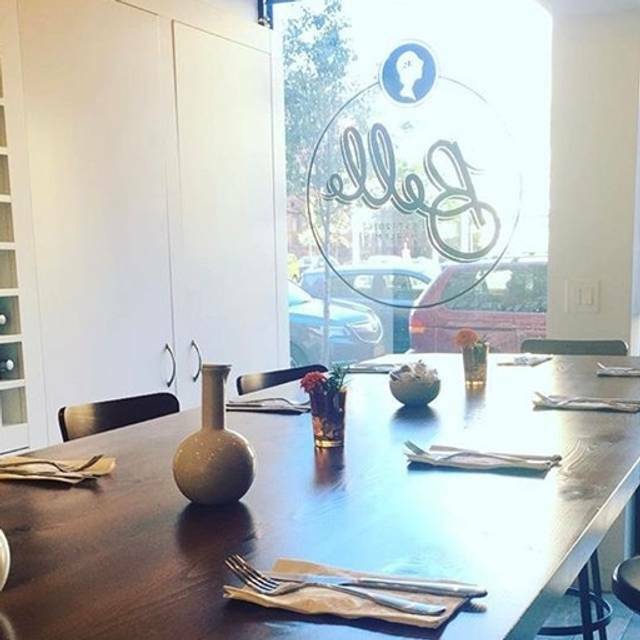 Belle is a unique 12-seat a la carte chef’s table in Central Harlem. Our space is not suitable for children. Reservations only accepted for guests aged 18 years and up. We appreciate your commitment when reserving one or more of our 12 seats. Guests who do not cancel within 48 hours are subject to a per person charge of $75. We do not seat incomplete parties. Booked parties that arrive in entirety more than 15 minutes past their reserved time will not be seated and will be charged $75 for each seat booked. We kindly request that you limit your time with us to 90 minutes from your reservation time so that our other guests can enjoy our cuisine and hospitality. 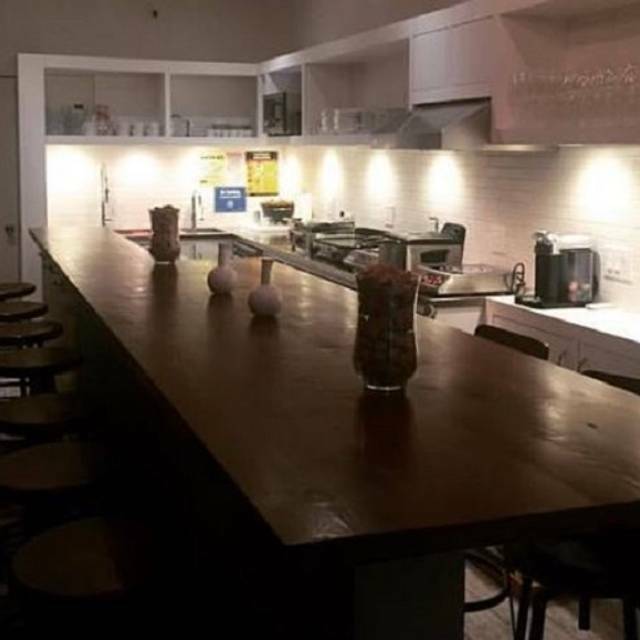 Chef Darryl and his team will offer an evolving menu in an intimate space. The menus will be based on locally sourced ingredients and will change frequently. The best experience ever! A cozy atmosphere with the feel of being at home with friends. The chef's were awesome. Food was extraordinary good!! I would definitely recommend this place and will be attending again. My favorite place in Harlem. Amazing food. Go hungry because you’re going to want to order everything! Great wine list and suggestions. This was such a super special culinary experience! Gorgeous, thoughtful new American cuisine with a bit of a nod towards Southern comfort. 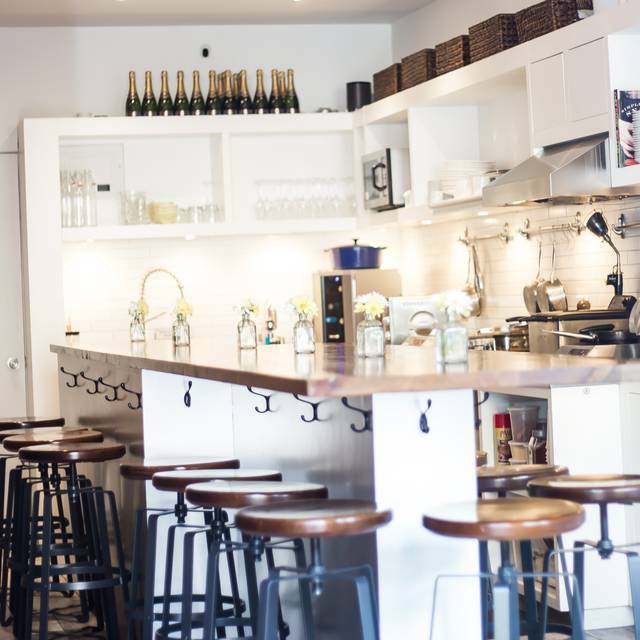 The space is small and intimate, where you can get up close and personal with the dynamic owners, chef Darryl and his wife Melissa your gracious hostess. This is special occasion food in a casual 12 seat communal-table setting with open kitchen. 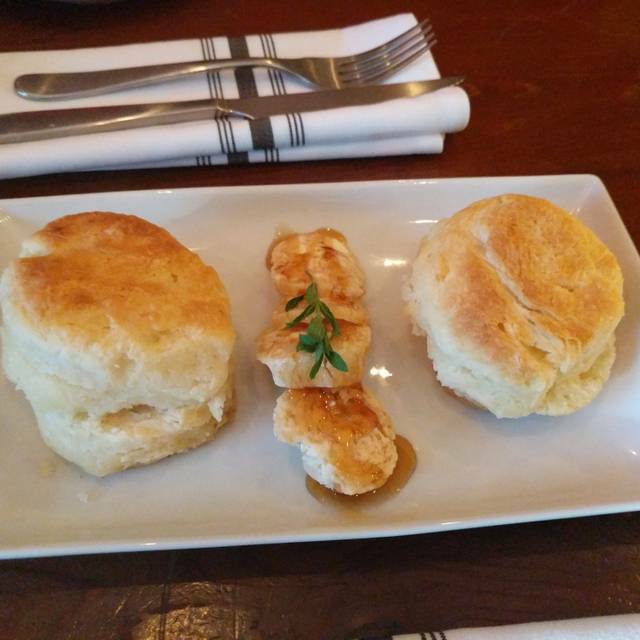 We adored the Yuzu Lobster Roll and the Chicken & Biscuit. (Oh that truffle honey!) Our pork tenderloin came with a delectable sweet corn fritter that I could eat 7 days a week, three meals a day. Beautiful wine list too! Each and every time. We brought friends tonight who were blown away. Thank you for a wonderful evening again. Every time is a gift. Always loved Belle Harlem and have recommended it to dozens of people. Haven't been there in about 1 year and decided to show a friend what my favorite spot in Harlem is all about. The food was as amazing as always, but the service was very rushed, as if the woman (assuming the owner) couldn't wait to get us out of there. Place was pretty much empty so im not sure what the rush was about but I most likely wont be returning anytime soon. Props to the chef though. Best restaurant in Harlem. Hands down. Absolutely fantastic. The owners are a delight and their approach to a dining experience is amazing. 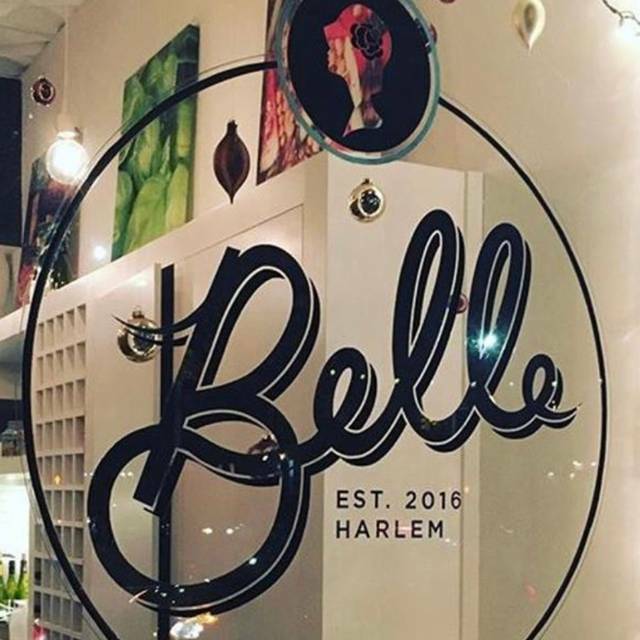 I highly recommend Belle Harlem for a wonderful dining experience. Belle Harlem and the chef/owner Darryl and his wife Melissa are incredible. You’ll have excellent food, wine, conversation and service! This is a hidden gem! The food was extraordinary! Everything we ordered was DELICIOUS!!! The service was exceptional! The owners husband and wife team were friendly and caring. The chef/owner is extremely talented and creative! This was one of the best meals I have had in recent years! I will definitely return to this restaurant! What a great experience! Very unique for NYC. Food was absolutely perfectly prepared. Everything was delicious. The owners were a delight to talk to. Really enjoyed our experience and highly recommend. Definitely worth the trip from Mid-town! Excellent experience. Too expensive for every day but a great option for a cool night with good friends near home. Totally recommend it. Great food. Very creative! Great service. Love it! Never disappoints! We marvel at how chef Daryl cooks delicious and creative dinners in such an intimate space. With Melissa overseeing the chef's table, we always feel as if we are guests in their home. 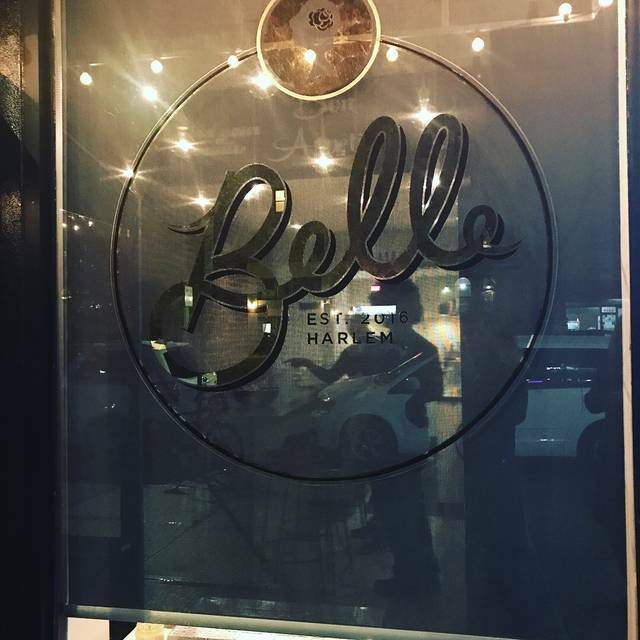 We had a wonderful dining experience at belle harlem. Each dish was cooked fresh right in front of us and each one was more delicious than the last. The owners were friendly and hospitable. We highly recommend it and will be returning soon. We came at the recommendation of top-ten listed by open table. My filet mignon was perfect. 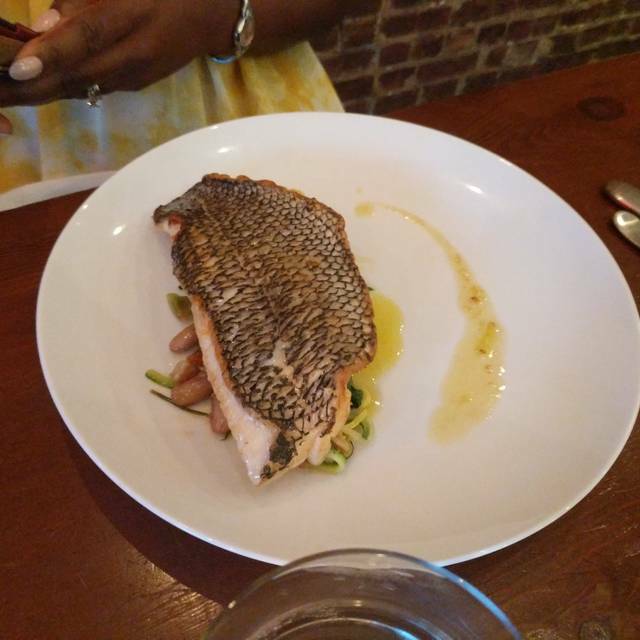 However my wife was not too impressed with her black sea bass dish which was a little bit too salty to her taste. We both enjoyed the very creative and unique"tyfin" dessert. It was a pleasure being able to chat with both waitress/wife and chief/husband while savoring our plates. One minor negative thing: the seats were not very comfortable; they might need some cushioning. A thrilling dinner in the most intimate surroundings possible. Belle Harlem brings a la carte dining to a chef's table experience, safe in the knowledge that chef is not distracted by the rest of the restaurant. Excellent, imaginative food, and a well- chosen compact menu that suggests the options change regularly to more with the seasons ...and what's good right now. I first ate here a few weeks ago - we chose nearly everything on the menu, and everything delighted our party of three. 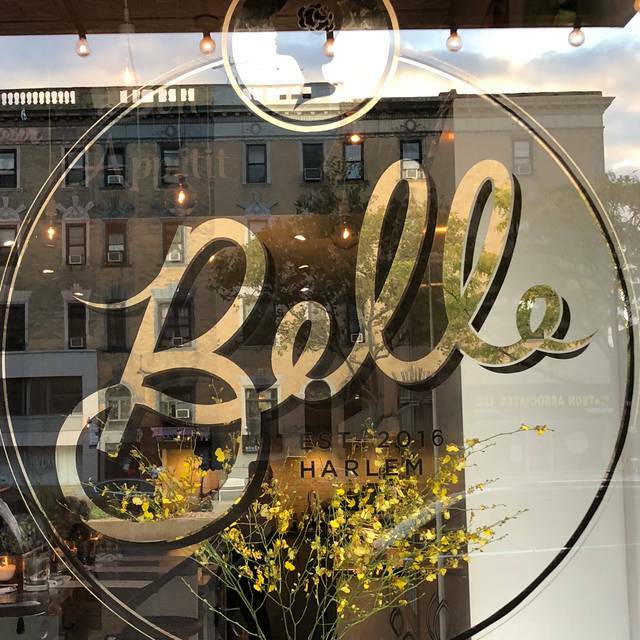 I went back to Belle Harlem earlier this week... Everyone once in a while you have a fabulous experience, but it turns out to be a one dinner wonder. Very happy to say, not Belle Harlem! Another fabulous dinner, which delighted both me and my guest from the UK. And it reminded me that one thing I missed above was to comment on the people behind the restaurant. Chef Darryl Burnette and his partner Melissa are wonderful warm hosts, making for a fabulous evening. As a picky eater I didn’t know what to expect. The place is very personable, I simply loved Belle Harlem. The food is great, and the owners are great people. Hands down my new favorite restaurant in NYC. Delicious doesn’t even begin to cover it. Chef Darryl and Alex cooking, with Melissa running front of the house is the perfect recipe for success. 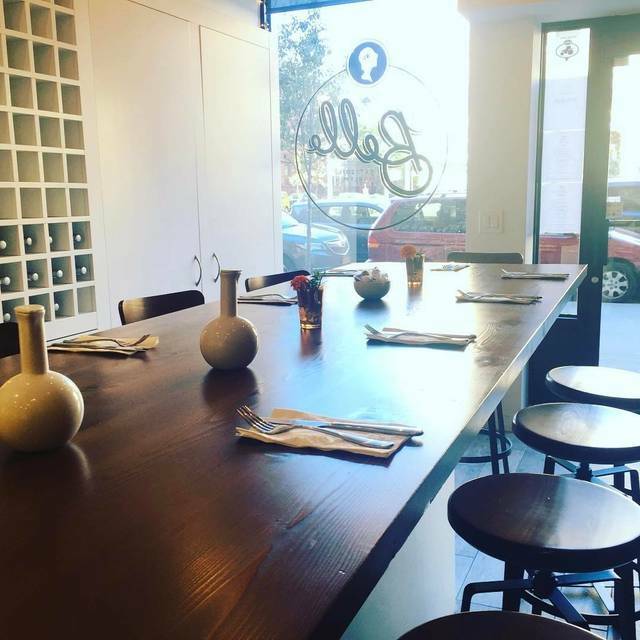 Belle delivers in every way you want - food and vibe. It’s like being in your friend’s kitchen, except with the quality and precision of a Michelin star restaurant. We had the Mac and Cheese spring rolls and chicken and waffles to start. Filet and pork for main, and finished with the apple tart. Everything was beyond, but if I had to pick my favorites - I’d pick the spring rolls and filet. I actually found myself wanting to lick the plate with the bacon marmalade that accompanies the Mac and Cheese! Incredible restaurant run by super cool people. I’m already trying to figure out how and when I can go back! If you haven’t been... GO! You will not be disappointed. Perfect. My favorite restaurant in New York City...and that is saying a lot!!!! We loved our experience here! We ate amazing food, drank incredible wine and because the restaurant is so intimate we met new friends. Highly recommend for a memorable experience. Very delightful time with exceptional service. It's an adorable place that felt like I was being served in one's home. We both enjoyed it immensely. I would have liked my food to be a bit more seasoned, other then that, It was absolutely great!! Great food and service. The only downside is that your clothes may still smell like the restaurant after you leave. Mine did. Excellent food and service!!! Very intimate dining experience !!! Belle Harlem is always outstanding and one of my MOST favorite places to dine! AMAZING. Food was hands down some of the best we’ve ever eaten. Space is well designed..husband and wife team of Darryl and Melissa made us feel as if we’d been invited to the best dinner party in NYC...interesting conversation, great food and wine! Can’t wait to go again. always a wonderful evening. food, wine, ambience and service. great music always! What a wonderful dining experience! The food was par excellence and I loved the host(Adrissa) and chef(Alex) they were so engaging! Trying to figure out if I could get 12 friends together and have a private dinner party’s! Belle has been on my radar for some time. I was intimidated to walk in, but once I was in I realized there was nothing to be intimidated about. The staff is all warm, inviting, and charismatic. The chicken and waffles were INSANELY delicious. The best part was probably the banana truffle syrup. Yum. The radicchio salad was warm and nice. The hoho was good too. The specialty drink was underwhelming and over priced. The menu is limiting, more so if you dont eat pork. If they had more options and better drinks I would definitely give it 5 stars. It has been almost two weeks since we had another dinner at Belle Harlem, but the memory of the meal is still bright. This food is nutrition to the max (freshest ingredients, cleanest kitchen, honest preparation), but it is also a soul-satisfying experience. Our starters were shaved Brussels sprouts and rose (yes, pink!) radicchio, followed by black sea bass and chicken (I heard my companion whisper, "Best chicken I've ever had!"). Ordinarily we skip dessert, but we had to order Beign-yaaas, a little mouth-trip to New Orleans. The true beauty of the meal is leaving feeling sated, and waking up the next day with the same feeling of wellbeing. Delicious food. Interesting set up. An enjoyable experience. Belle Harlem is amazing. The food was fantastic as was the service. The space is both cozy and cool. It’s a lot of fun to watch Chef Darryl and the team cooking while you’re having an amazing meal and visiting with friends. Kind of like hanging out in a fabulous kitchen in someone’s home. Worth the price for a wonderful meal and unique experience. Honestly a delicious and wonderful experience every single time. Special in that you feel you are sitting in the chef Daryl’s kitchen at his kitchen table while he cooks for you. Food is always spot on, service very attentive and friendly and the experience is intimate and special. Chef has a great twist on comfort food. A sure thing. Belle Harlem is a NYC gem. Special place with excellent food and great service and warmth. I've lived in NYC for 6 years, lived all over the city, and this is my favorite restaurant. Daryl and Melissa are amazing owners of this Harlem gem. They both are extremely friendly, and every time we have eaten at Belle, they have gone out of their way to connect with us and ensure we have a fantastic time. Their staff is also extremely friendly, hospitable, and know how to make a meal memorable. The food has always been mouthwatering, and somehow tastes even better because it is made right in front of your face from scratch, in a kitchen so small that it defies what should be possible in such a small space. Definitely dinner and a show. While it's not cheap, it's worth what you pay, and it feels good to know that they take care of the staff well enough that gratuity is included in all prices. Hope they succeed and scale their success! Always a treat to dine at Belle! They are welcoming and up and we always feel as if we’ve just been to an intimate dinner party at a friends house...a friend that really knows how to cook! Terrific, friendly, and warm experience for our date night! Great food and service-thank you, Daryl and Melissa!